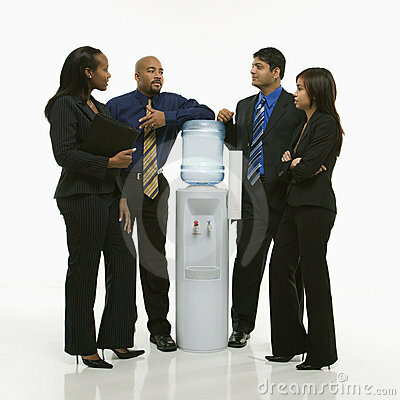 A lot goes on at the watercooler. First of all, we experience our own slice of popular culture on a number of levels – we live it on the weekends and then go in to work, meet up with our colleagues and live it again as we tell our stories of what it’s like to be us when we’re not with them. I often wonder if we have more fun on Sunday watching the game or on Monday talking about it. It occurs to me that, as we are chatting about teams being cheered, TV and movies being watched, recipes being tried, sports and games being played, concerts being attended, trips being taken, political views being formed and parties being…uh, partied – we are being invited into the world of the people we work with to get a much more intimate look than we realize. Think about it, our co-workers are not just letting us in on the kinds of music they like, the movies they watch, the teams they follow and the food they eat. They are letting us in on who they like, watch, follow and eat with – and that is amazing.